Here's my latest build for your website. Haven't sent you anything in a while, but this is something special! 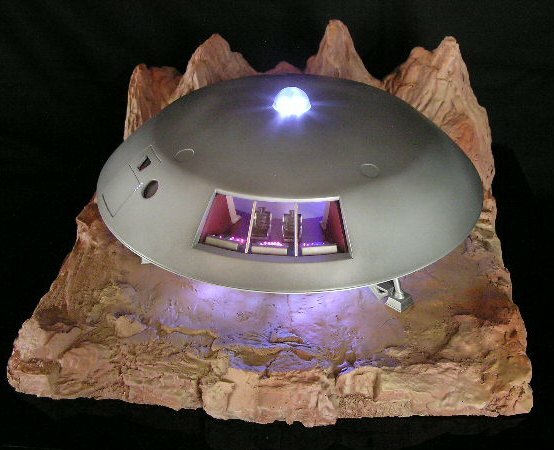 This (PL) 12 inch Jupiter-2 Saucer features a load of details and scratch-built augments. 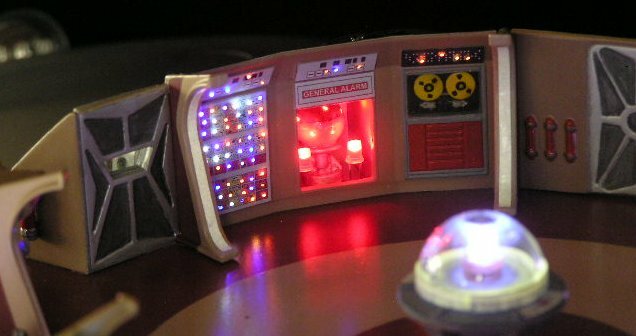 Fully lighted instrument panels via Fiber Optics, "Pulsing" Cryo Tube effects, Stainless Steel/Titanium, Hull metallic effects, Airlock details and lighting, extra "Rear Room" addition with lighting details, exterior Hatch control lighting, Fusion Core and Dome effects, scratch-built Elevator, my most detailed version ever! Take a good look at these pictures, loads of details in a very small build. Notice the scratch-built "Gyro" enclave, 3 dimensional and fully lighted. Real metal "Piping" near the Cryo Tubes. The extra smaller tubes as seen in the real prop version. This was safely sent and arrived intact to a client in Melbourne Australia! "